Makayla is using Smore newsletters to spread the word online. By: Makayla B., Tariq A., Garret J., Dev P.
It's better to do the right thing rather than the popular thing. 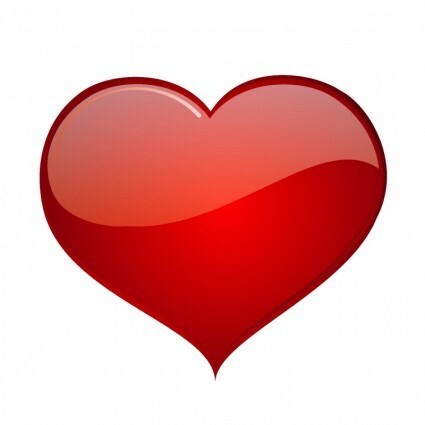 This heart represents the compassion and careness that Atticus has for other people gender/ethnicity. Tom Robinson is being kept in a jailhouse to prevent him from being attacked or harassed in any way. Late at night, Atticus went to the jailhouse where Tom was staying and sat outside the jailhouse to keep him protected. A group of armed men drive up in front of the jailhouse and approached Atticus in front of the jailhouse entry. One man said, “He in there mr. Finch?”...”You know what we want. Step aside from the door.” Mr. Finch said, “You can turn around and go home Walter.” (Lee 202) This shows that Atticus really has compassion for any human being no matter the ethnicity or gender. Not many people would have went out that late to protect another person like that. This is especially significant because African American were not treated equally at that time period. One of Atticus’ most common traits from the book is courage. He was the lawyer in the Tom Robinson case. This took courage because in the novel, most of the town did not like that Atticus was “defending a black man” (Lee 93). Atticus is also very kind but very stern. He is always looking out for Scout and Jem by protecting them from harm. An example of this is when he tells Scout “not to fight” (Lee 78). He says this not to be mean but to protect scout from further harm. Blue is considered beneficial to the mind and body. It slows human metabolism and produces a calming effect. Blue is strongly associated with tranquility and calmness. In heraldry, blue is used to symbolize piety and sincerity.Atticus is very intelligent. He showed sympathy towards Tom Robinson when no one did. He defended Tom Robinson when he was in danger. Atticus Finch is a very humble man. He will always help another person. Atticus always thinks for others before he thinks for himself. He always believes that you should never judge someone from their cover. He always believes that everyone is equal and everyone should be treated equally.